This article is about titles and honorifics in Japan. For more on the implementation of honorifics in the Japanese language, see Honorific speech in Japanese. The Japanese language makes use of honorific suffixes when referring to others in a conversation. These suffixes are attached to the end of names, and are often gender-neutral. Honorific suffixes also indicate the level of the speaker and referred individual's relationship and are often used alongside other components of Japanese honorific speech, called keigo (敬語). Although honorifics are not part of the basic grammar of the Japanese language, they are a fundamental part of the sociolinguistics of Japanese, and proper use is essential to proficient and appropriate speech. Referring to oneself using an honorific, or dropping an honorific when it is required, is a serious faux pas, in either case coming across as clumsy or arrogant. An honorific is generally used when referring to the person one is talking to (one's interlocutor), or when referring to an unrelated third party in speech. It is dropped, however, by some superiors, when referring to one's in-group, or in formal writing, and is never used to refer to oneself, except for dramatic effect, or some exceptional cases. Dropping the honorific suffix when referring to one's interlocutor, which is known as to yobisute (呼び捨て), implies a high degree of intimacy and is generally reserved for one's spouse, younger family members, social inferiors (as in a teacher addressing students in traditional arts), and very close friends. Within sports teams or among classmates, where the interlocutors approximately have the same age or seniority, it can be acceptable to use family names without honorifics. Some people of the younger generation, roughly born since 1970, prefer to be referred to without an honorific. However, dropping honorifics is a sign of informality even with casual acquaintances. When referring to a third person, honorifics are used except when referring to one's family members while talking to a non-family member, or when referring to a member of one's company while talking to a customer or someone from another company—this is the uchi–soto (in-group/out group) distinction. Honorifics are not used to refer to oneself, except when trying to be arrogant (ore-sama), to be cute (-chan), or sometimes when talking to young children to teach them how to address the speaker. Use of honorifics is correlated with other forms of honorific speech in Japanese, such as use of the polite form (-masu, desu) versus the plain form—using the plain form with a polite honorific (-san, -sama) can be jarring, for instance. When translating honorific suffixes into English, separate pronouns or adjectives must be used in order to convey characteristics to the person they are referencing as well. 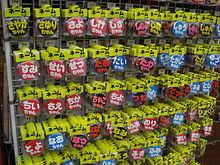 While some honorifics such as -san are very frequently used due to their gender neutrality and very simple definition of polite unfamiliarity, other honorifics such as -chan or -kun are more specific as to the context in which they must be used as well as the implications they give off when attached to a person's name. These implications can only be translated into English using either adjectives or adjective word phrases. San (さん) (sometimes pronounced han (はん) in Kansai dialect) is the most commonplace honorific and is a title of respect typically used between equals of any age. Although the closest analog in English are the honorifics "Mr.", "Miss", "Ms.", or "Mrs.", -san is almost universally added to a person's name; -san can be used in formal and informal contexts and for both genders. Because it is the most common honorific, it is also the most often used to convert common nouns into proper ones, as seen below. San may be used in combination with workplace nouns, so a bookseller might be addressed or referred to as hon'ya-san ("bookstore" + san) and a butcher as nikuya-san ("butcher's shop" + san). San is sometimes used with company names. For example, the offices or shop of a company called Kojima Denki might be referred to as "Kojima Denki-san" by another nearby company. This may be seen on small maps often used in phone books and business cards in Japan, where the names of surrounding companies are written using -san. San can be attached to the names of animals or even inanimate objects. For example, a pet rabbit might be called usagi-san, and fish used for cooking can be referred to as sakana-san, but both would be considered childish (akin to "Mr. Fish" or "Mr. Fishy" in English) and would be avoided in formal speech. Married people often refer to their spouse with -san. Due to -san being gender neutral and commonly used, it can be used to refer to people who are not close or whom one does not know. However, it may not be appropriate when using it on someone who is close or when it is clear that other honorifics should be used. Online, Japanese gamers often append a numeral 3 to another player's name to denote -san (e.g., Taro3 conveys Taro-san), since the number three is also pronounced san. Sama (様【さま】) is a more respectful version for people of a higher rank than oneself or divine, toward one's guests or customers (such as a sports venue announcer addressing members of the audience), and sometimes toward people one greatly admires. It is seemingly said to be the origin word for -san but there is no major evidence otherwise. Deities such as native Shinto kami and the Christian God are referred to as kami-sama, meaning "Revered spirit-sama". When used to refer to oneself, -sama expresses extreme arrogance (or self-effacing irony), as in praising oneself to be of a higher rank, as with ore-sama (俺様, "my esteemed self"). Sama customarily follows the addressee's name on postal packages and letters and in business email. Sama also appears in such set phrases as omachidō sama ("thank you for waiting"), gochisō sama ("thank you for the meal"), or otsukare sama ("thank you for a good job"). With the exception of the Emperor of Japan, -sama can be used to informally address the Empress and other members of the Imperial Family. The Emperor is, however, always addressed as Heika ("Your Majesty"). (See "Royal and official titles" below). Kun (君【くん】) is generally used by people of senior status addressing or referring to those of junior status, by anyone addressing or it can be used when referring to men in general, male children or male teenagers, or among male friends. It can be used by males or females when addressing a male to whom they are emotionally attached, or who they have known for a long time. Although it may seem rude in workplaces, the suffix is also used by juniors when referring to seniors in both academic situations and workplaces, more typically when the two people are associated. Although -kun is generally used for boys, it is not a hard rule. For example, -kun can be used to name a close personal friend or family member of any gender. In business settings, young female employees are addressed as -kun by older males of senior status. It can be used by male teachers addressing their female students. Kun can mean different things depending on the gender. Kun for females is a more respectful honorific than -chan, which implies childlike cuteness. Kun is not only used to address females formally; it can also be used for a very close friend or family member. Calling a female -kun is not insulting, and can also mean that the person is respected, although that is not the normal implication. Rarely, sisters with the same name, such as "Miku", may be differentiated by calling one "Miku-chan" and the other "Miku-san" or "-sama", and on some occasions "-kun". Chan and -kun occasionally mean similar things. General use of -kun for females implies respectful endearment, and that the person being referred to is sweet and kind. In the National Diet (Legislature), the Speaker of the House uses -kun when addressing Diet members and ministers. An exception was when Takako Doi was the Speaker of the lower house, where she used the title -san. Chan (ちゃん) is a diminutive suffix; it expresses that the speaker finds a person endearing. It is seemingly said to have come from a "cute" pronouncing of -san (in Japanese, replacing s sounds with ch sounds is seen as cute), although there is no evidence otherwise as this suffix has been used since the early days of ancient Japan. In general, -chan is used for babies, young children, close friends, grandparents and sometimes female adolescents. It may also be used towards cute animals, lovers, or a youthful woman. Using -chan with a superior's name is considered to be condescending and rude. 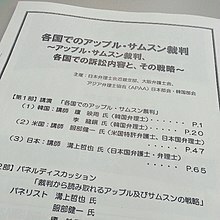 Although traditionally, honorifics are not applied to oneself, some people adopt the childlike affectation of referring to themselves in the third person using -chan (childlike because it suggests that one has not learned to distinguish between names used for oneself and names used by others). For example, a young woman named Kanako might call herself Kanako-chan rather than using a first person pronoun. "Chan" is only used between people who have known each other for a long time or who are of the same gender. Otherwise, using this for someone, especially adults, only known for a short period of time, can be seen as offensive. Tan (たん) is an even more cute or affectionate variant of -chan. It evokes a small child's mispronunciation of that form of address, or baby talk – similar to how, for example, a speaker of English might use "widdle" instead of "little" when speaking to a baby. Moe anthropomorphisms are often labeled as -tan, e.g., the commercial mascot Habanero-tan, the manga figure Afghanis-tan or the OS-tans representing operating systems. Bō (坊【ぼう】) is another diminutive that expresses endearment. Like -chan, it is used for babies or young children, but is exclusively used for boys instead of girls. Senpai (先輩【せんぱい】) is used to address or refer to one's elder colleagues in a school, dojo, or sports club. So at school, the students in higher grades than oneself are senpai. Teachers are not senpai, but rather they are sensei. Neither are students of the same or lower grade: they are referred to as kōhai (後輩【こうはい】). In a business environment, those with more experience are senpai. Sensei (先生【せんせい】, literally meaning "former-born") is used to refer to or address teachers, doctors, politicians, lawyers, and other authority figures. It is used to show respect to someone who has achieved a certain level of mastery in an art form or some other skill, such as accomplished novelists, musicians, artists and martial artists. In Japanese martial arts, sensei typically refers to someone who is the head of a dojo. As with senpai, sensei can be used not only as a suffix, but also as a stand-alone title. The term is not generally used when addressing a person with very high academic expertise; the one used instead is hakase (博士【はかせ】, lit. "Doctor" or "PhD"). Sensei can be used fawningly, and it can also be employed sarcastically to ridicule such fawning. The Japanese media invoke it (rendered in katakana, akin to scare quotes or italics in English) to highlight the megalomania of those who allow themselves to be sycophantically addressed with the term. Shi (氏【し】) is used in formal writing, and sometimes in very formal speech, for referring to a person who is unfamiliar to the speaker, typically a person known through publications whom the speaker has never actually met. For example, the -shi title is common in the speech of newsreaders. It is preferred in legal documents, academic journals, and certain other formal written styles. Once a person's name has been used with -shi, the person can be referred to with -shi alone, without the name, as long as there is only one person being referred to. It is common to use a job title after someone's name, instead of using a general honorific. For example, an athlete (選手, senshu) named Ichiro might be referred to as "Ichiro-senshu" rather than "Ichiro-san", and a master carpenter (棟梁, tōryō) named Suzuki might be referred to as "Suzuki-tōryō" rather than "Suzuki-san". In a business setting, it is common to refer to people using their rank, especially for positions of authority, such as department chief (部長, buchō) or company president (社長, shachō). Within one's own company or when speaking of another company, title + san is used, so a president is Shachō-san. When speaking of one's own company to a customer or another company, the title is used by itself or attached to a name, so a department chief named Suzuki is referred to as Buchō or Suzuki-buchō. However, when referring to oneself, the title is used indirectly, as using it directly is perceived as arrogant. Thus, a department chief named Suzuki will introduce themselves as 部長の鈴木 Buchō-no-Suzuki, rather than ×鈴木部長 *Suzuki-buchō. Convicted and suspected criminals were once referred to without any title, but now an effort is made to distinguish between suspects (容疑者, yōgisha), defendants (被告, hikoku), and convicts (受刑者, jukeisha), so as not to presume guilt before anything has been proven. These titles can be used by themselves or attached to names. However, although "suspect" and "defendant" began as neutral descriptions, they have become derogatory over time. 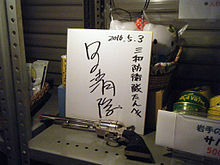 When actor and musician Gorō Inagaki was arrested for a traffic accident in 2001, some media referred him with the newly made title menbā (メンバー), originating from the English word "member", to avoid use of yōgisha (容疑者, suspect). But in addition to being criticized as an unnatural term, this title also became derogatory almost instantly—an example of euphemism treadmill. There are several different words for "our company" and "your company". "Our company" can be expressed with the humble heisha (弊社, "clumsy/poor company") or the neutral jisha (自社, "our own company"), and "your company" can be expressed with the honorific kisha (貴社, "noble company", used in writing) or onsha (御社, "honorable company", used in speech). Additionally, the neutral tōsha (当社, "this company") can refer to either the speaker's or the listener's company. All of these titles are used by themselves, not attached to names. When mentioning a company's name, it is considered important to include its status depending on whether it is incorporated (株式会社, kabushiki-gaisha) or limited (有限会社, yūgen-gaisha). These are often abbreviated as 株 and 有 respectively. Tono (殿【との】), pronounced -dono (どの) when attached to a name, roughly means "lord" or "master". It does not equate noble status; rather it is a term akin to "milord" or French "monseigneur", and lies below -sama in level of respect. This title is not commonly used in daily conversation, but it is still used in some types of written business correspondence, as well as on certificates and awards, and in written correspondence in tea ceremonies. It is also used to indicate that the person referred to has the same (high) rank as the referrer, yet commands respect from the speaker. No kimi (の君) is another suffix coming from Japanese history. It was used to denominate Lords and Ladies in the Court, especially during the Heian period. The most famous example is the Prince Hikaru Genji, protagonist of The Tale of Genji who was called Hikaru no kimi (光の君). Nowadays, this suffix can be used as a metaphor for someone who behaves like a prince or princess from ancient times, but its use is very rare. Its main usage remains in historical dramas. This suffix also appears when addressing lovers in letters from a man to a woman, as in Murasaki no kimi ("My beloved Ms. Murasaki). Ue (上) literally means "above", and denotes a high level of respect. While its use is no longer common, it is still seen in constructions like chichi-ue (父上), haha-ue (母上) and ane-ue (姉上), reverent terms for "father", "mother" and "older sister" respectively. Receipts that do not require specification of the payer's name are often filled in with ue-sama. Heika (陛下) is used for sovereign royalty, similar to "Majesty" in English. For example, Tennō Heika (天皇陛下) means "His Majesty the Emperor", which is used to address the Emperor of Japan, and Kōgō Heika (皇后陛下) means "Her Majesty the Empress", used to address the Empress. Kokuō Heika (国王陛下) means "His Majesty the King", and Joō Heika (女王陛下) means "Her Majesty the Queen". Heika by itself can be used as a direct term of address, equivalent to "Your Majesty". Denka (殿下) is used for non-sovereign royalty, similar to "Highness". For example, Kako Naishinnō Denka (佳子内親王殿下, "Her Imperial Highness, Princess Kako of Akishino"), and Suwēden Ōkoku, Vikutoria Ōtaishi Denka (スウェーデン王国ヴィクトリア王太子殿下, "Her Royal Highness, Crown Princess Victoria of the Kingdom of Sweden"). Denka can be used by itself, equivalent to "Your Highness." Hidenka (妃殿下) is used for addressing the consort of a prince, and is used the same way as the other royal titles. Daitōryō (大統領) means "President", and is used for any national president, such as the President of the United States. It is most commonly attached to a name. For example, Trump-Daitōryō (トランプ大統領, "President Trump"). Martial artists often address their teachers as sensei. 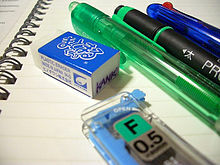 Junior and senior students are organized via a senpai/kōhai system. Also in some systems of karate, O-Sensei is the title of the (deceased) head of the style. This is how the founder of Aikido, Morihei Ueshiba is often referred to by practitioners of that art. The O- prefix itself, translating roughly as "great[er]" or "major," is also an honorific. Various titles are also employed to refer to senior instructors. Which titles are used depends on the particular licensing organization. Shōgō (称号, "title", "name", "degree") are martial arts titles developed by the Dai Nippon Butoku Kai, the Kokusai Budoin and the International Martial Arts Federation Europe. Many organizations in Japan award such titles upon a sincere study and dedication of Japanese martial arts. The below mentioned titles are awarded after observing a person's martial arts skills, his/her ability of teaching and understanding of martial arts and the most importantly as a role model and the perfection of one's character. Renshi (錬士【れんし】): Polished Instructor. (Skilled person or expert teacher) Awarded to 4th Dan and above. Kyōshi (教士【きょうし】) refers to an advanced teacher. (Senior Teacher/Expert). Awarded to 6th Dan and above. Hanshi (範士【はんし】) refers to a senior expert considered a "teacher of teachers". This title is used by many different arts for the top few instructors of that style, and is sometimes translated "Grand Master". Awarded to 8th Dan and above. Meijin (名人): awarded by a special board of examiners. Oyakata (親方【おやかた】), master, especially a sumo coach. The literal sense is of someone in loco parentis. Also used by the Yakuza. In ancient times, it was also used by samurai to address the Daimyō they serve, as he was Oyakata-sama, the clan's don. Shihan (師範【しはん】), merely means chief instructor; unlike the titles above it is not related to grade. Shidōin (指導員【しどういん】), intermediate instructor, also unrelated to grade. Shishō (師匠【ししょう】) is another title used for martial arts instructors. Zeki (関【ぜき】, literally "barrier"), used for sumo wrestlers in the top two divisions (sekitori). Shinpu (神父【しんぷ】), Orthodox or Catholic priest (lit. Godfather). A Catholic priest (司祭【しさい】, shisai, lit. minister of worship) receives this title. Bokushi (牧師【ぼくし】), Protestant priest. This title is given to a Protestant priest (司祭【しさい】, shisai). In informal speech, some Japanese people may use contrived suffixes in place of normal honorifics. This is essentially a form of wordplay, with suffixes being chosen for their sound, or for friendly or scornful connotations. Although the range of such suffixes that might be coined is limitless, some have gained such widespread usage that the boundary between established honorifics and wordplay has become a little blurred. Examples of such suffixes include variations on -chan (see below), -bee (scornful), and -rin (friendly). Note that unlike a proper honorific, use of such suffixes is governed largely by how they sound in conjunction with a particular name, and on the effect the speaker is trying to achieve. Some honorifics have baby talk versions—mispronunciations stereotypically associated with small children and cuteness, and more frequently used in popular entertainment than in everyday speech. The baby talk version of -sama is -chama (ちゃま). There are even baby talk versions of baby talk versions. Chan can be changed to -tan (たん), and less often, -chama (ちゃま) to -tama (たま). Words for family members have two different forms in Japanese. When referring to one's own family members while speaking to a non-family-member, neutral, descriptive nouns are used, such as haha (母) for "mother" and ani (兄) for "older brother". When addressing one's own family members or addressing or referring to someone else's family members, honorific forms are used. Using the suffix -san, as is most common, "mother" becomes okāsan (お母さん) and "older brother" becomes oniisan (お兄さん). The honorifics -chan and -sama may also be used instead of -san, to express a higher level of closeness or reverence, respectively. The general rule is that a younger family member (e.g., a young brother) addresses an older family member (e.g., a big brother) using an honorific form, while the older family member calls the younger one only by name. Otōsan (お父さん): father. The descriptive noun is chichi (父). Ojisan (叔父さん／小父さん／伯父さん): uncle, or also "middle-aged gentleman". Ojiisan (お祖父さん／御爺さん／お爺さん／御祖父さん): grandfather, or also "male senior-citizen". Okāsan (お母さん): mother. The descriptive noun is haha (母). Obasan (伯母さん／小母さん／叔母さん): aunt, or also "middle-aged lady". Obāsan (お祖母さん／御祖母さん／御婆さん／お婆さん): grandmother, or also "female senior-citizen". Oniisan (お兄さん): big brother, or also "a young gentleman". The descriptive noun is ani (兄). Onēsan (お姉さん): big sister, or also "a young lady". The descriptive noun is ane (姉). The initial o- (お) in these nouns is itself an honorific prefix. In more casual situations the speaker may omit this prefix but will keep the suffix. Niichan (兄ちゃん) or Niisan (兄さん): when a young sibling addresses his or her own "big brother". Nēchan (姉ちゃん) or Nēsan (姉さん): when a young sibling addresses his or her own "big sister". Kāsan (母さん): when a man addresses his own "wife" (the "mother" of their children). Bāchan (祖母ちゃん): when grandchildren address their "grandma". Jiichan (祖父ちゃん): when grandchildren address their "grandpa". ^ Mogi, Norie (10 June 2002). "Japanese Ways of Addressing People". Investigationes Linguisticae. Poland: Investigationes Linguisticae. p. 14. doi:10.14746/il.2002.8.3. Retrieved 21 October 2018. ^ Ashcraft, Brian (30 January 2013). "Legendary Sega Consoles Turned into Colorful Anime Ladies". Kotaku. Retrieved 30 January 2017. ^ Patrick McCarthy. "Dai Nippon Butokukai". Retrieved 25 August 2007. Poser, William J. (1990). "Evidence for Foot Structure in Japanese". Language 66.1.78–105. Reprinted in Natsuko Tsujimura (ed.) Japanese Linguistics: Critical Concepts in Linguistics. Oxford: Routledge, 2005, pp. 159–190. Look up Category:Japanese suffixes in Wiktionary, the free dictionary. Wikimedia Commons has media related to Japanese honorifics. This page was last edited on 18 April 2019, at 05:32 (UTC).